One reason to enjoy a daily bite of dark chocolate is that the candy contains good-for-you vitamins including riboflavin, calcium and iron. Mix together dark chocolate with nuts and you get extra amounts of these vitamins, according to the California Academy of Sciences. You don't have to worry about dark chocolate causing acne to form on your skin. Recent studies indicate that there is no direct evidence that supports the claim that chocolate, among other foods, causes acne. 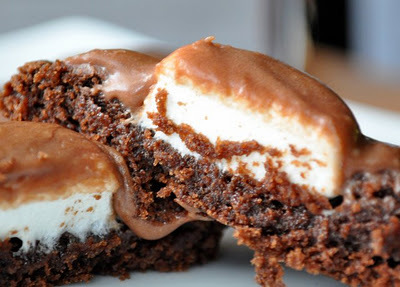 There is never a wrong time for a whoopie pie. 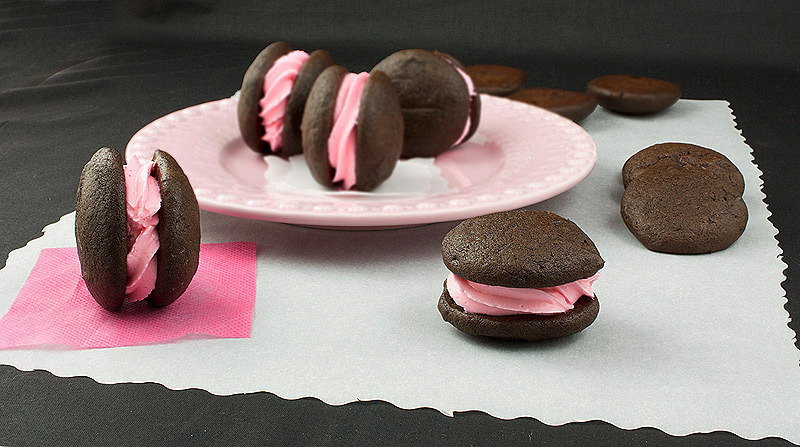 Check out this recipe for Chocolate Whoopie Pies with Vanilla Swiss Meringue Buttercream from La Mia Vita Dolce. The recipe yields 34. Since the holidays are all about surprises, why not try chocolate surprise cookies? See this recipe from Martha Stewart. Going along with the theme of extreme chocolate edibles, here's an item that may make your mouth water, but your belly a little uneasy. I was searching and found out who made the world's largest chocolate chip cookie – and boy is it huge! The monster cookie measuring at 100 feet in diameter and containing over 6,000 pounds of chocolate chips was the show stopper for a fund raising effort towards funding the American Folk Art Museum. The crazy idea was cooking up by the Immaculate Baking Company, which involved making a custom structureless over to be able to heat the large cookie for over 5-6 hours. What's a better way to enjoy an evening during the holiday season than to sit back, relax with a cup of hot chocolate and enjoy a chocolate dipped candy cane? The recipe is easy and only requires three ingredients: melted chocolate, peppermint sticks and white nonpareils. You can use the candy canes as a plate decoration during your Christmas feast to enjoy during dessert or you can wrap them up to give as a gift. One nice thing about this recipe is you can make it with the chocolate and candy cane of your choice. Not a big fan of white chocolate? Substitute with milk chocolate instead. So many varieties of candy canes are on the market today from caramel to apple. Experiment with different varieties such as cinnamon, black cherry and strawberry. 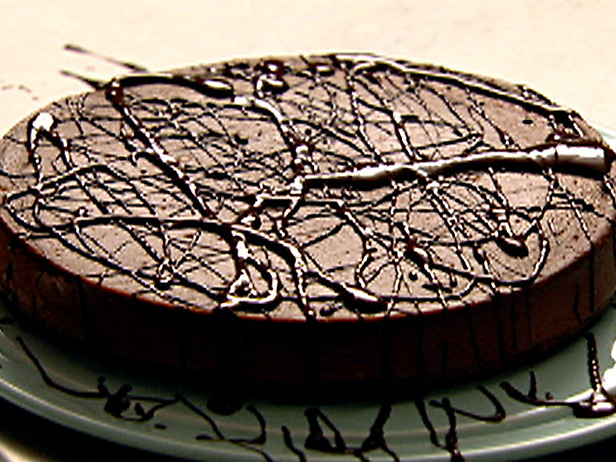 For the month that’s usually all about chocolate, check out this recipe from Nigella Lawson for chocolate cheesecake. 'The World's Largest Reese's Cup' is an official Reese product, made the same, packaged the same as their normal sized counterparts – just bigger. I loves me some chocolate. I also have a deep childhood level love for Reese’s Peanut Butter cups. There's something to be said for the sweet victory of munching through a candy chock full of chocolate and peanut butter goodness. But then there are those who are not satisfied with 1, or 2 or 4 cups in one sitting. Reese's offers a specialty size Reese's Cup that you'll rarely see at any gas station or super market candy isle. Melting chocolate for holiday baking doesn't have to take up a large chunk of your time, especially when you're schedule is already chocked full of events. Preparing your chocolate in the microwave takes a little over or under a minute, depending on what type you have in your kitchen. Using this method gives you more freedom to oversee other areas of your baking then you would typically have when melting with a double boiler or water bath. What Could be Better than Peppermint in Brownies all Mixed into a Pie? As the holidays are getting closer, it’s time to think of dessert. Remember, calories don’t count when you’re on vacation and peppermint and brownies have never sounded so good. Check out this recipe for peppermint brownie pie. This recipe makes 10 servings and ha a total prep time of 20 minutes. Bake at 55 minutes at 350 degrees Farenheit. 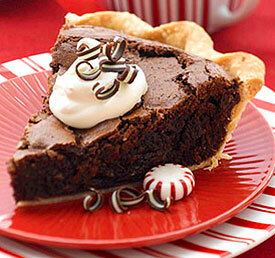 Read more about What Could be Better than Peppermint in Brownies all Mixed into a Pie? Eggnog and gingerbread cookies are my favorite parts of the holiday season. Unfortunately, most of my family does not share my personal tastes. After searching online I found a Mccormick recipe for white chocolate gingerbread cookies. I’ve previously had only bad luck with manufacturer recipes, but this recipe was relatively easy, made a large batch, and was delicious. In order to work with chocolate you need to understand the basic terms and variations of chocolate. By Paula Deen, how Could you go Wrong? Since it’s still the holiday season, why not just go all out? 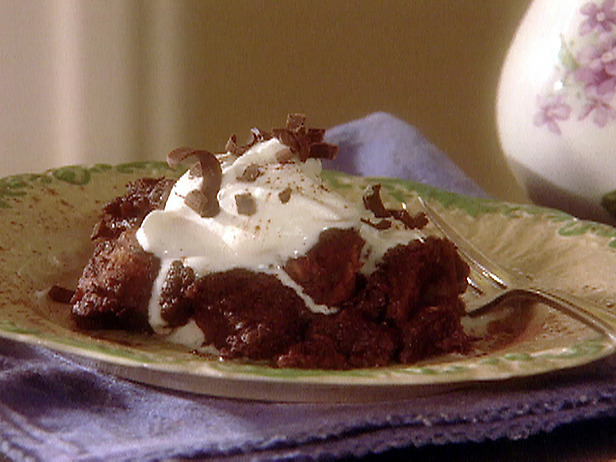 Coffee flavor liquor and chocolate are just two fantastic ingredients in Paula Deen’s chocolate bread pudding, the extra calories are definitely worth it for this sweet treat. Every Christmas, for as long as I can remember, my mom and I baked Christmas cookies. The cookies were meant for Santa when my brother and I were little. When we got older, the cookies were made and decorated out of enjoyment and excitement. One of the recipes, the Hershey Kiss Cookie, tasted really good no matter which way we changed the batch to fit individual tastes at the time.